A couple of years ago, we published a guest post by poet Jeremy Voigt, who shared his experience as part of the Unamuno Reading Series at Desperate Literature bookshop in Madrid. In May/June 2019, Desperate Literature will host Madrid’s first English-language poetry festival, bringing over 50 poets and scholars to the city. There will be a week of readings and lectures from poets and non-fiction writers as well as a collaboration with the Latinx Writers Caucus to launch the García Lorca prize for an emerging Latinx author. Learn more about The Unamuno Author Festival 2019 and see the impressive list of attending poets, including Jeremy Voigt. If you’re interested in poetry, in language, then on some level you interact with letters. Not the epistolary kind, but the alphabetic kind. And if the shape, variety, history, or possibility of letters interests you, make an appointment to visit the Letterform Archive in San Francisco. A nonprofit center for inspiration, education, publishing, and community, the Letterform Archive hosts visits and public events, and serves a global community through social media, state-of-the-art photography, and publications. They offer courses and workshops in type design, calligraphy, and typography, they curate exhibitions, organize lectures by visiting artists and designers, and host salons and receptions to showcase collections or celebrate out-of-town guests. Go. Currently on view at the Poetry Foundation, in Chicago, is a free interactive poem and poetry exhibit: “On Visiting the Franklin Park Conservatory & Botanical Gardens” by Khaty Xiong. In the exhibit, readers/viewers are invited to respond to Xiong’s poem with lines of their own (pictured). The installation will continue through Friday, September 14, 2018. Actor Bill Murray has teamed up with cellist Jan Vogler (and friends) to create New Worlds, a recording and a tour in which “Murray brings his wit and charm to classic songs, prose, and poetry by Twain, Hemingway, Whitman, Bernstein, Gershwin, Foster, and more in dialogue with Vogler’s transfixing Stradivari cello.” Check out the tour dates on the New Worlds website and read more on NPR. At Emory University, in Atlanta, Georgia, the Raymond Danowski Poetry Library comprises some 75,000 volumes (50,000 of which are catalogued and searchable). 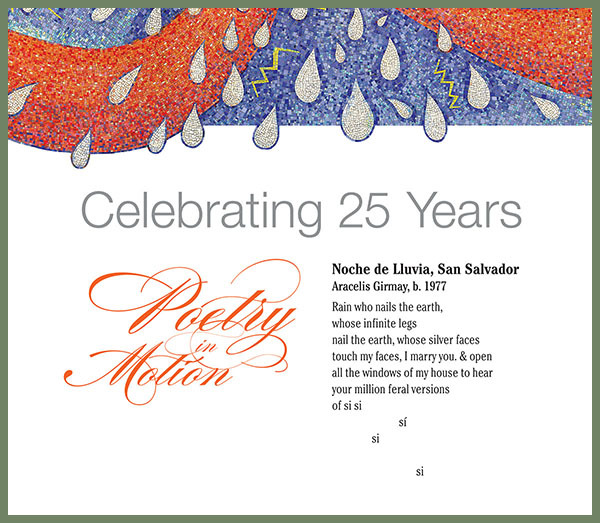 Believed to be the largest privately-held assembly of poetry books, the collection was amassed over many years and in 2004 donated to Emory University by Mr. Danowski, who died last week. The collection is curated by poet Kevin Young and the library hosts a variety of fellowships, readings, exhibitions, and visiting scholars. 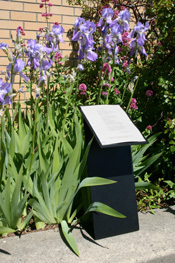 To learn more about the Library and its collection and programs, visit the Raymond Danowski Poetry Library website.